Had a blast finding the right set up for this Tactical Alert. It was decently challenging! 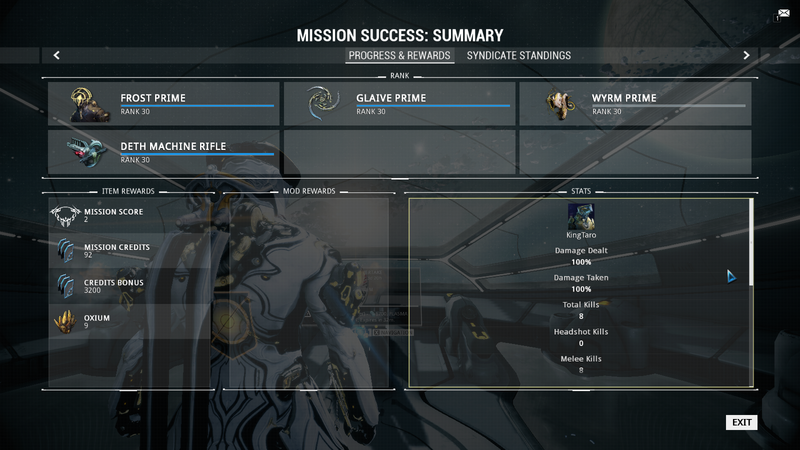 It took me longer to find people that werent trying to bring level 20 frames with full sets of weapons then it did to actually do the mission tho lol. My set up was a Trinity and a Mag riding the rover. I was Valkyr and had a Loki with me on foot to clear the path. 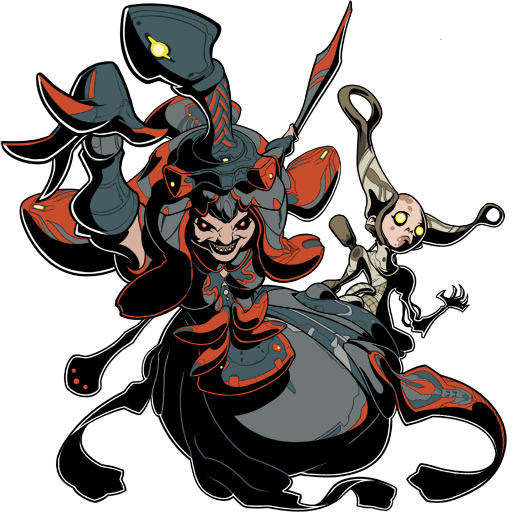 To all the Tenno crying about this event, up your game. The whole point of these are to make you rethink your set up and take you out of your comfort zone. Best Tactical Alert yet if you ask me! Finally a challenge! Loved it except that the challenge was too hard. That is, it forced players to basically break the mission by using skills/warframes that could effectively make sure the nullifiers didn't destroy the rover in the first 20sec. Prolly not the best way to create a challenge environment if you're forcing players to basically break the game for the loot. Here's the problem, the alert is do able... but ONLY if you sit around spamming defensive abilities. Which is painfully obvious that that WAS NOT the intended solution, you can only equip thrown melee weapons, and it's full of nullifiers so you can't make use of offensive abilities... except that glaives don't do diddly squat to nullifiers which defeats the entire purpose of those handicaps and leaves you with one other option, snow globe/absorb/shield polarize/whatever and completely ignore the glaive in your hand. so yes, its doable but it utterly failed at it's intended purpose. Finished it after losing two revives and failing three times, once due to host migration. Those nullifiers are really unbalanced, their defense is too strong and their sniper rifle is a one/two shot kill. 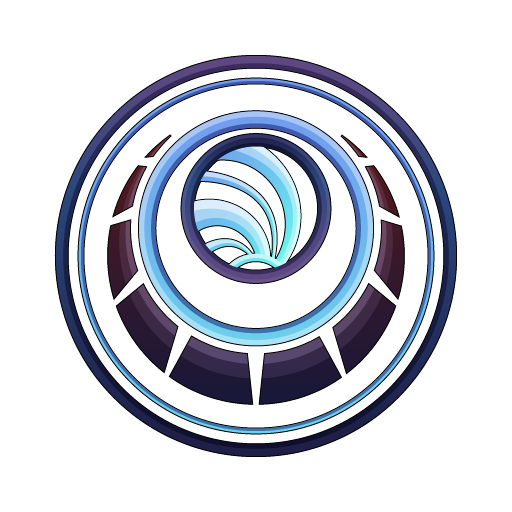 The magnetic proc on the MOAs wouldn't be a big deal if magnetic procs didn't remove ALL your energy. I can't wait to watch Prime Time and see an hour of them getting utterly rekt. If that's what you truly believe, then perhapse you should do a few more runs to come up with a strategy. Ask these 3 basic questions to yourself. 1. How many times did you fail the mission? 2. What was the cause of the failure? 3. Do we have equipments to counter that cause? It took me literary 2 runs to come up with a strategy to complete this alert solo. Bring a few shield restores. Take Frost and spam Snow Globe while walking next to the Cargo. You can kill the enemies right on the path of the cargo once in a while. I just did both runs with a Mag and me as Trinity. Possible...but made me want to kill kittens. I tried this five times with PUGs, and each time the rover died faster than the audio files of Lotus's warnings of the rover's health could play. So yeah, whatever... 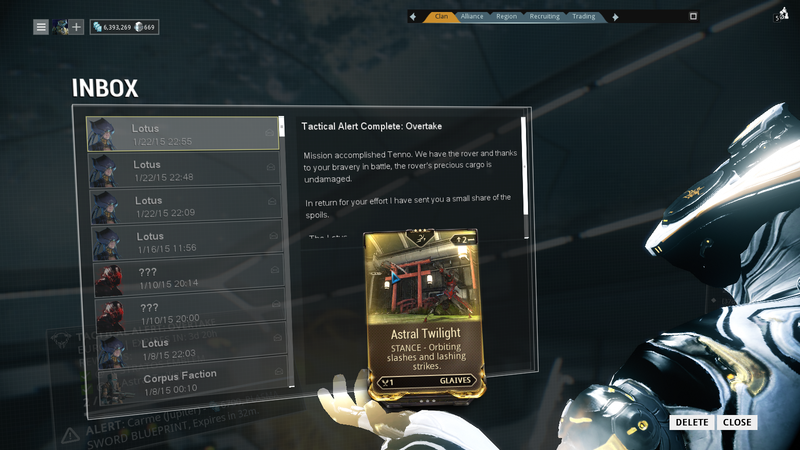 I think I'll pass on this "TACTICAL" alert and do without the mod reward offered for it. 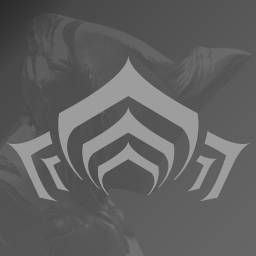 It's just hilarious, by the way, how the "red text" prior to the alert announced that we were about to "test" our "throwing skills" and yet, the alert itself has NOTHING to do with thrown melee prowess or aim, but instead, it was all about spamming abilities of the CORRECT warframes and using consumables. All in all, an extremely demotivating and disappointing alert. 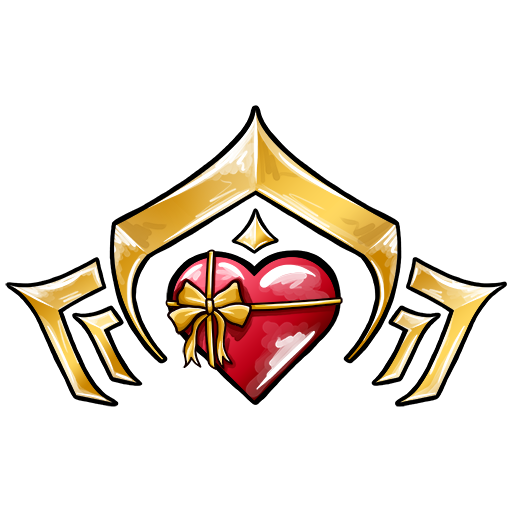 Late game players like myself see this as a gift from DE. As a late-game player, haha no. I'm going to take a peak at this alert when I get home, and if it's what everyone is making it out to be, this may be the first event/alert that I choose not to play and get all rewards on. I really don't like the direction DE is taking these alerts. I took Zephyr. Stood on top of the thing, spammed Turbulence and energy/shield Restores. Didn't kill anything. But why is everyone so amazed about the Stance? for the stratos emblem and glaive mod I am not going to craft even kestrel. 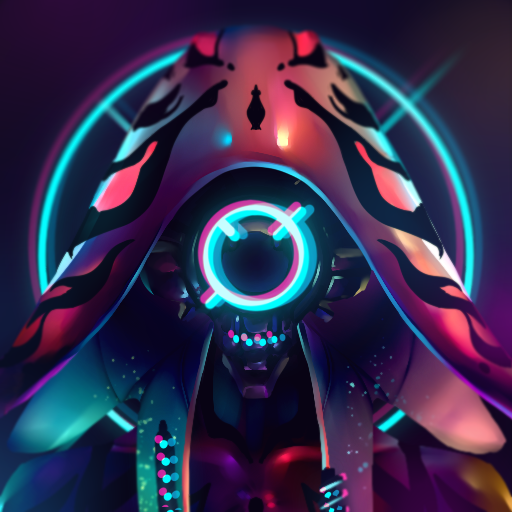 Changes to the Overtake alert: Barred the use of Sentinels, can't get credit for the mission unless you PERSONALLY kill at least five Nullifiers. Hate hijack mission anyway and from everyones' info doesn't sound like it is even remotely fun. Besides I never use glaive type weapons anyway, why in the heck with better melee weapons would I even want to? Did it easily with 2 frosts spamming globe on top of the tram, 1 range zephyr with low duration to spam tornados and turbulance, 1 nyx for op. After some tries, i went to recruitment, found a team, we planned the action and it worked like a charm twice. One person fueled the Rover, two others rushed ahead and killed off the Nullifiers to make the rest of the enemies fodder for the powers and the last makes sure the enemies spawning from behind don't get a drop on the Rover. I guess one could chalk that up as being tactical. If Megan and Rebecca try this alert later with two well picked players they will most likely beat it quickly too. Though as i thought it also still a test of builds. 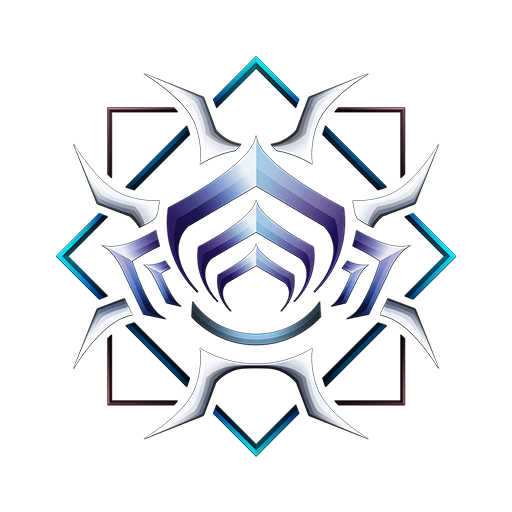 For example a Valkyr, with health/armor focus, using Rage and a weapon with lifestrike is ideal to rush into the Null-Fields and kill the guys while refreshing enough health to survive the shots until being in attack distance. Then the others can kill of the rest with powers. Of course other Warframe options will work too, but once again it feels like you need the right mods rather than just the right tactics. And a throwable melee weapon of course, which have not been the most prominent weapons since Melee 2.0 and it's removale of the charge attack (and especialy the mods for it) and therefor might be a bit more rare in player arsenals. This one was a lot better than the 'no energy capture' one. First few tries with pugs ended in about 10 seconds after the rover drove off, with a team we got 2 of them done in no time. There's ways to cheese it this time too. Frost globing all the way with the rest of us sitting on the rover using energy&shield pads is how we did it. 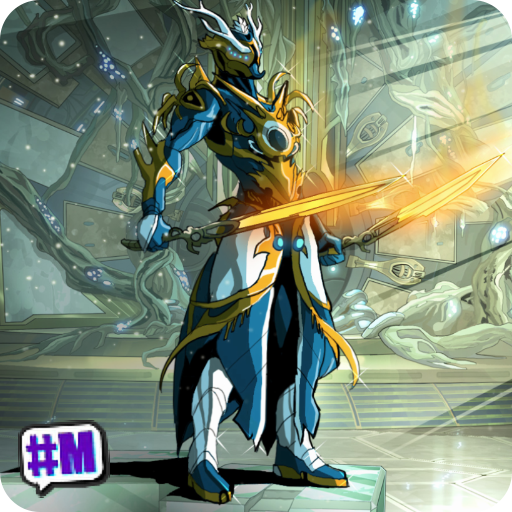 Besides the frost, we had an excal, mag and me as trinity. Was kinda fun but wouldn't do it again. 2 were just enough, ty for that btw (would hate to do it 15 times). 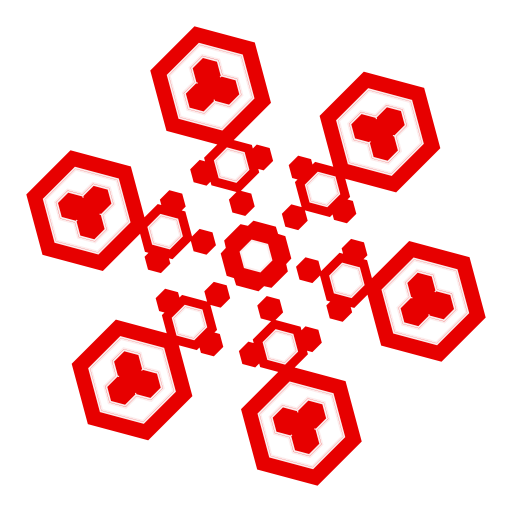 Also, is it just me or are the changes in stratos emblem really hard to even notice? Seems more or less the same to me for the last few alerts. Kinda underwhelming. Doesn't help that the things are tiny and way too glowy. Minimizes the bubbles, draw agro away from the rover. The overall consensus includes the first 3, the last is there for defense. 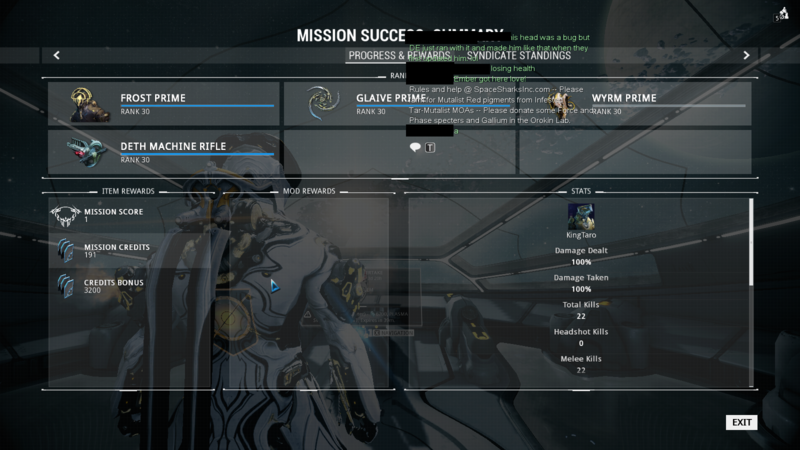 Did it with my friend as Rhino n Mesa. Ez. Wait, we are restricted to only throwing weapons?!? -_-... I feel like this is a dumb restriction. And don't take me wrong, I pretty much main melee, but none of the throwing weapons are any good, so I never even bothered to make anything other than the Glaive, which I sold a long time ago. 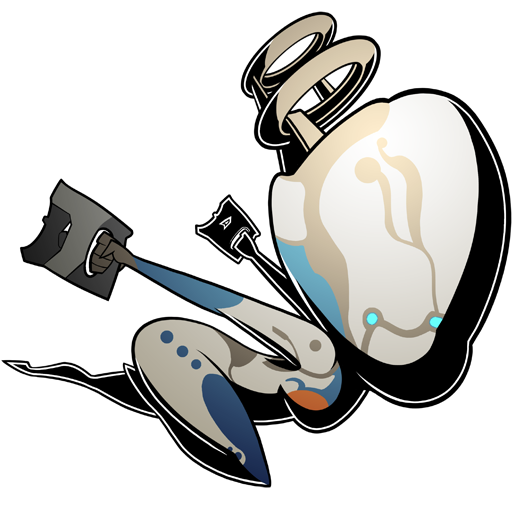 Namely, the Warframe animations are sluggish, slow, clunky. Warframes are simply not able to react effectively to the opposition in Overtake. They're not Space Ninjas. They are pod sitters. We succeeded once on what was my second mission, but, I'm not sure how. I suspect it was because of Frost, as well as more vet players rather than new. But, trying to make the quick precise movements needed to win this are impossible. And, the thrown weapons are pathetically slow for close melee. Chef chop vegetables with more urgency. Warframe is too laid back ofr a action or combat game. This might sound odd because of exploding hordes. But, when it's not possible to shred and explode hordes then the sluggish foundation becomes obviouse.